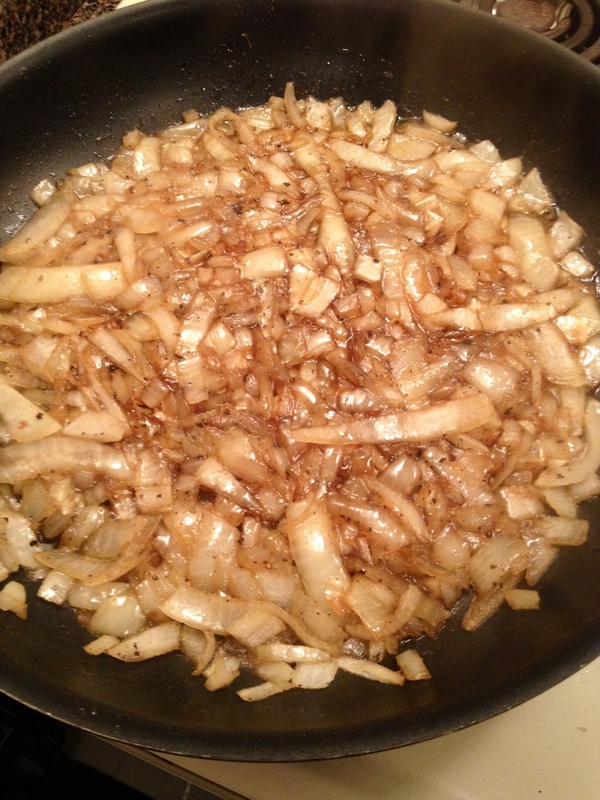 In a large, heavy-bottomed skillet set over low heat, melt the butter. Once the butter starts to foam, add olive oil, brown sugar and ground pepper. Cook the onions over medium heat for about 30 minutes. Stir occasionally. 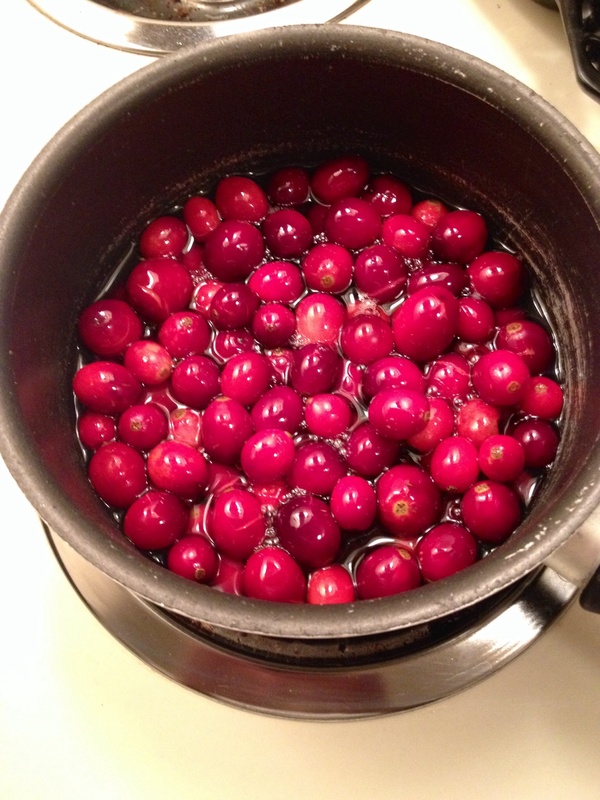 In a small saucepan set over medium heat, combine sugar and 1/3 cup water. 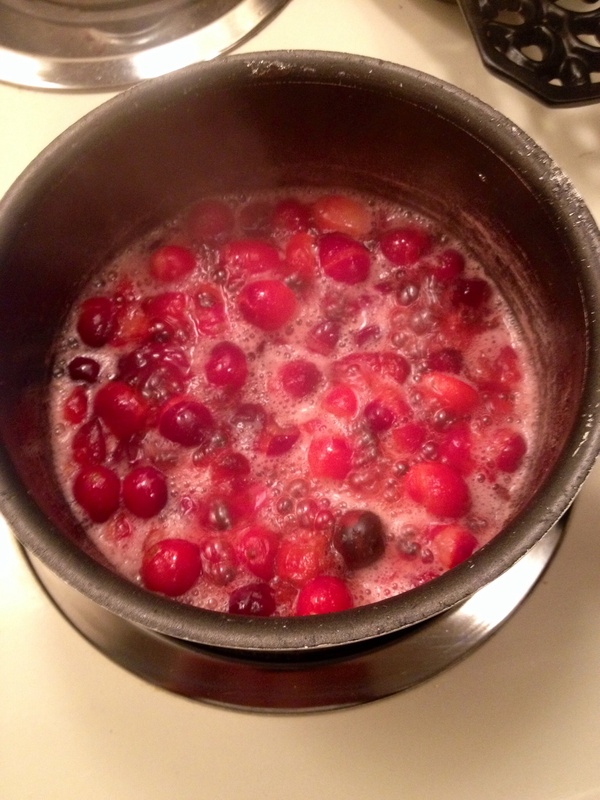 Stir until the sugar dissolves, then add cranberries. Cook for 5 minutes, stirring occasionally. 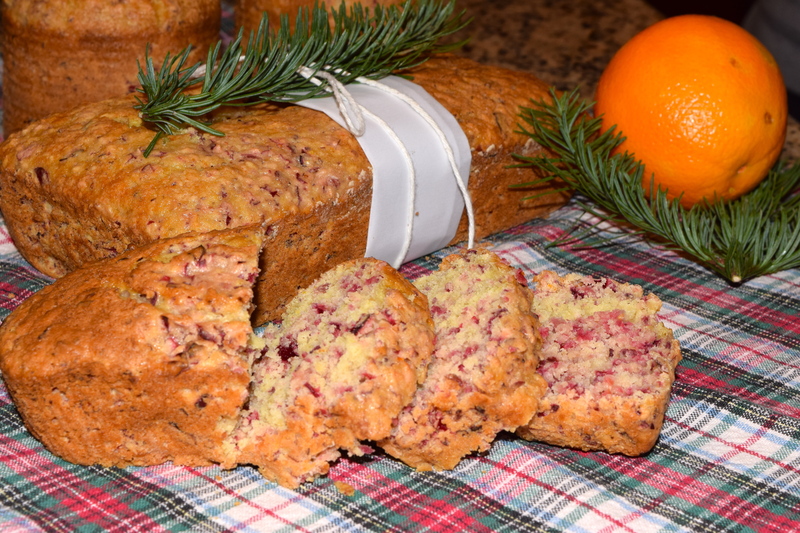 Drain and set cranberries aside. While the onions are cooking, take the defrosted puff pastry and lay on a greased cookie sheet. Using a small butter knife score a ½-inch border around the end of the square. This will make a “crust” for the tart. Once the onions are done, spread the evenly across the puff pastry. 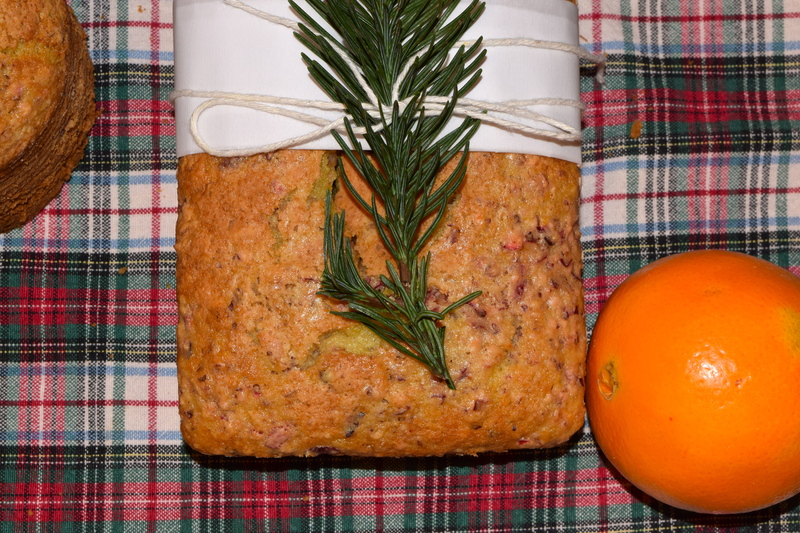 Sprinkle oregano and cheese and cranberries on top. 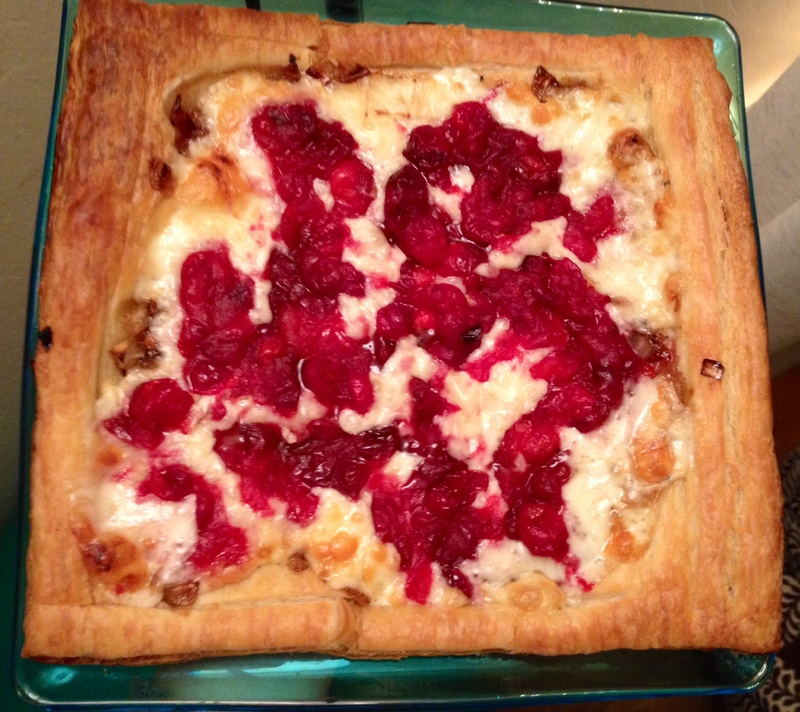 Cook the tart for 15-20 minutes. 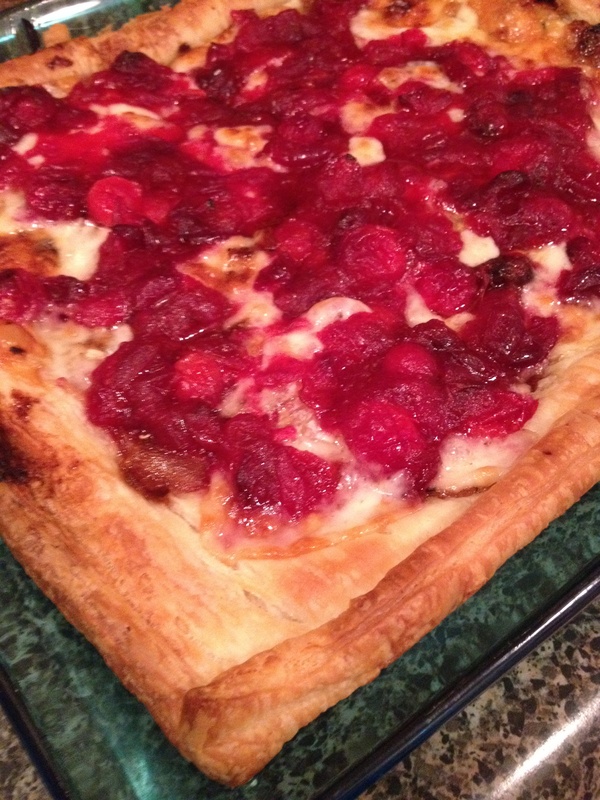 Once done, remove the tart from the oven and let it sit for 5minutes prior to cutting. 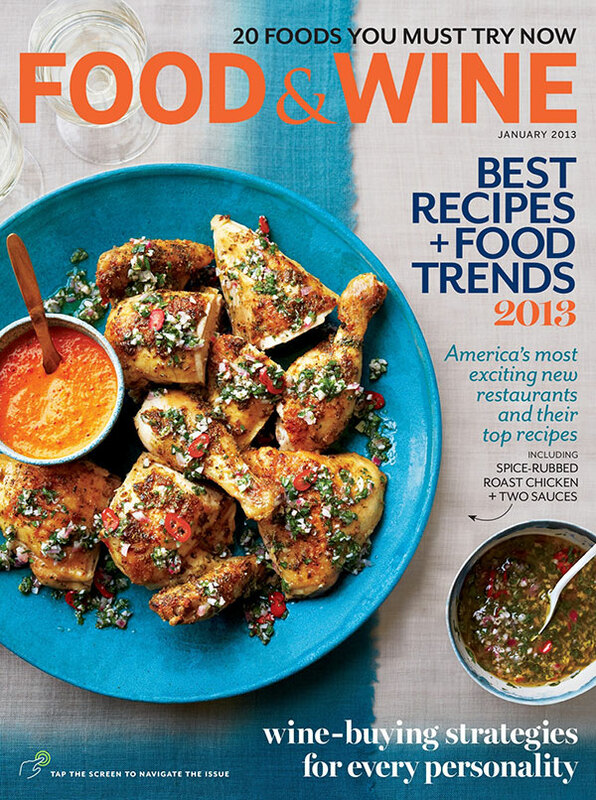 Fall is in the air, and it’s also in T.W.O.’s cooking! 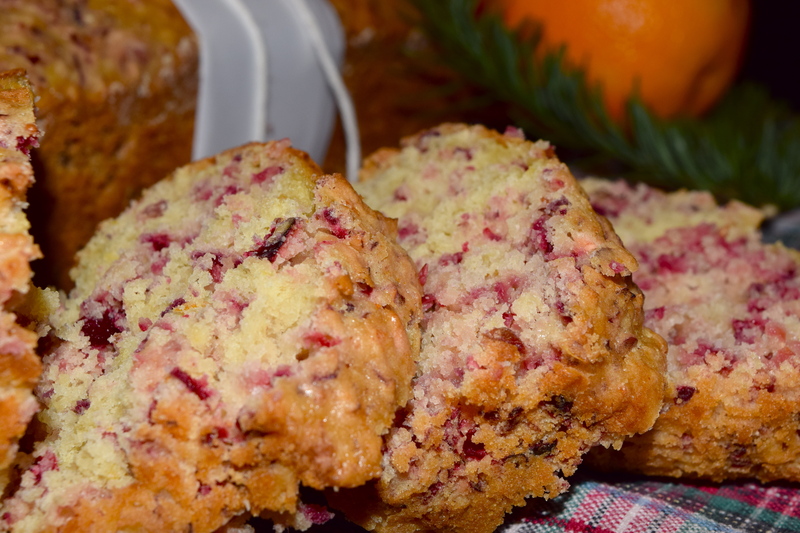 Check out how to make this easy and tasty recipe the whole family will love. 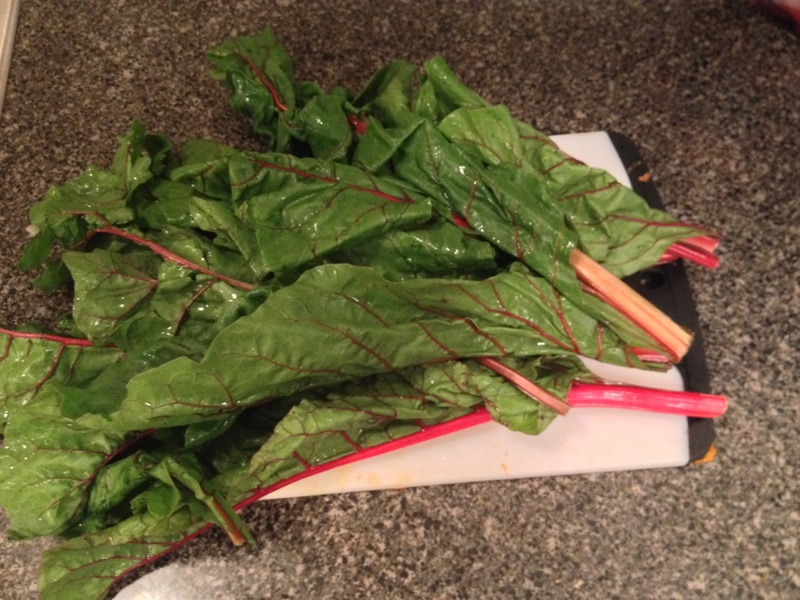 It’s great as an entrée, side dish or even lunch! T.W.O. 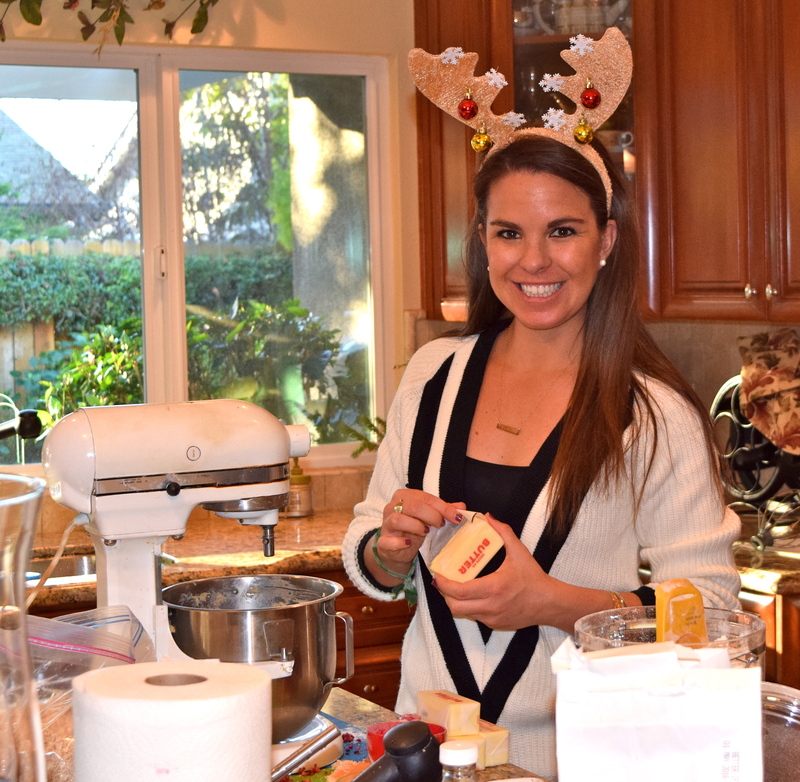 doubled the recipe and was able to enjoy it throughout the week…leftovers are the best! 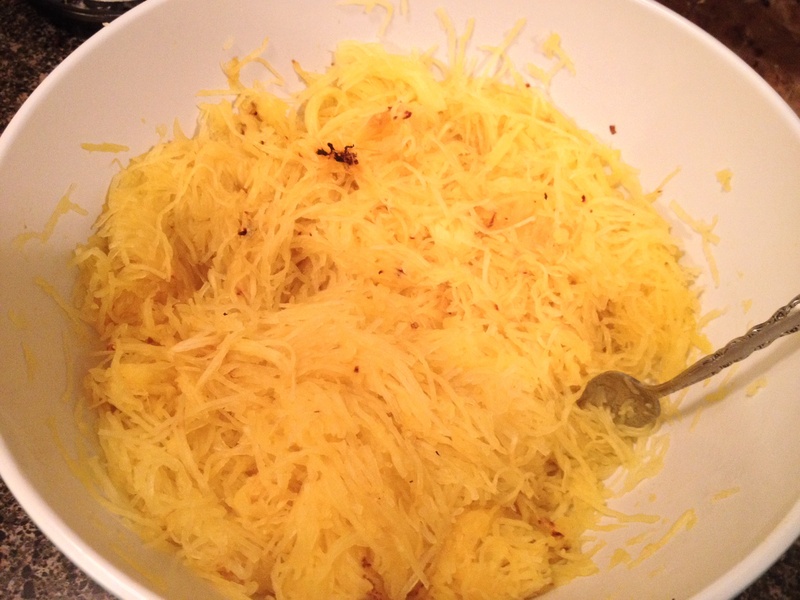 Preheat the oven to 375ᴼ F. Using a sharp knife, cut the spaghetti squash in half, lengthwise. Scoop out the seeds and the “strings” just like you would when carving a pumpkin. Once clean, place the squash, face down in a sprayed Pyrex pan. Salt and Pepper to taste. Put the Pyrex in the oven and cook for about 40 minutes. 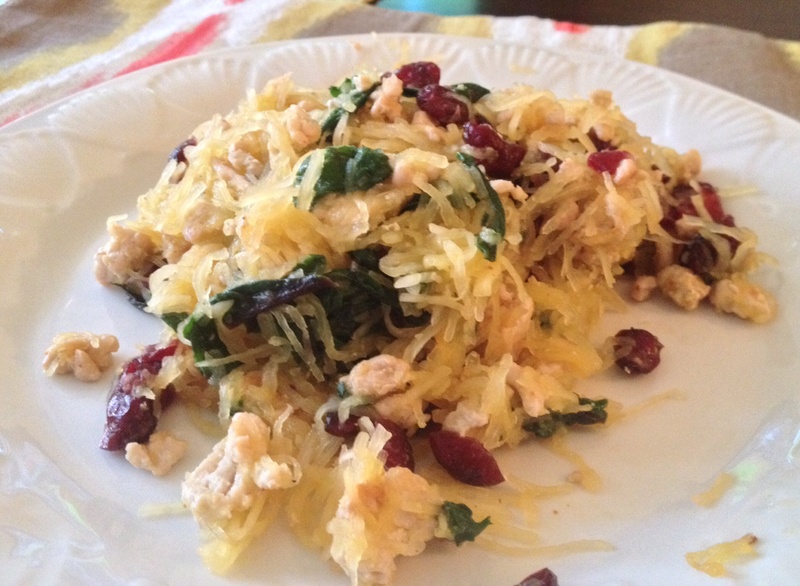 While the spaghetti squash is cooking, sauté the ground turkey meat with pepper and Krazy Salt. 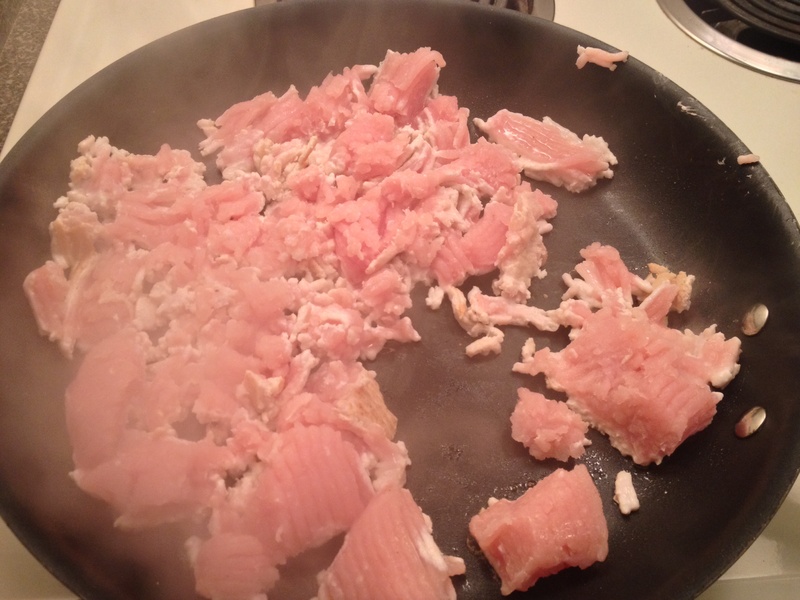 Once thoroughly cooked, put aside. 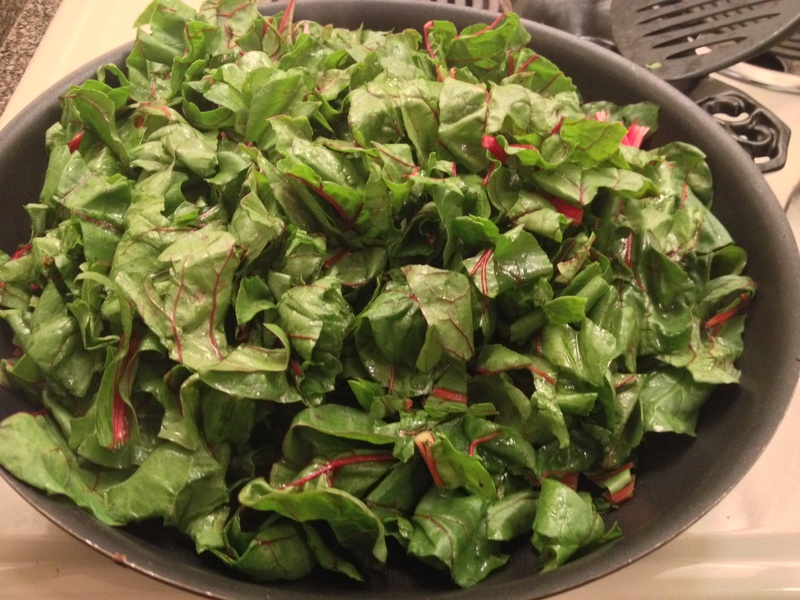 Next, sauté the chopped Swiss chard leaves in a lightly oiled pan. Sauté for about 3-4 minutes. 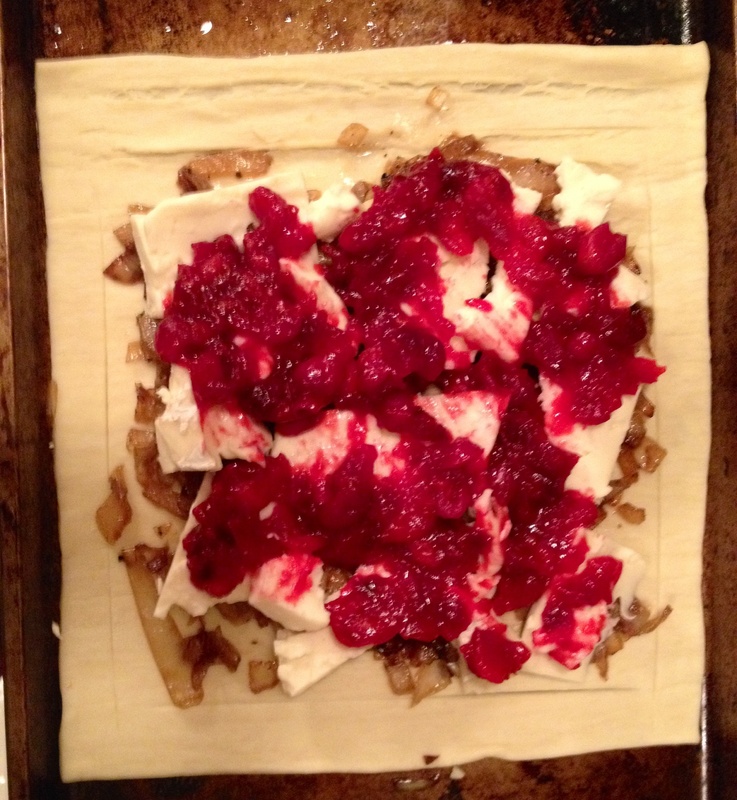 Once complete, add the cranberries and ground turkey meat. 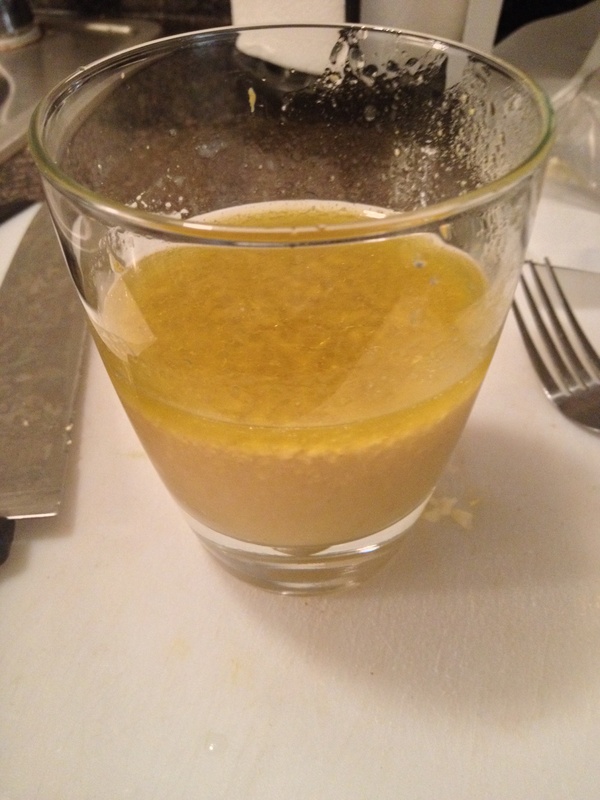 To make the dressing, add all the ingredients in a cup and whisk for about 2 minutes. 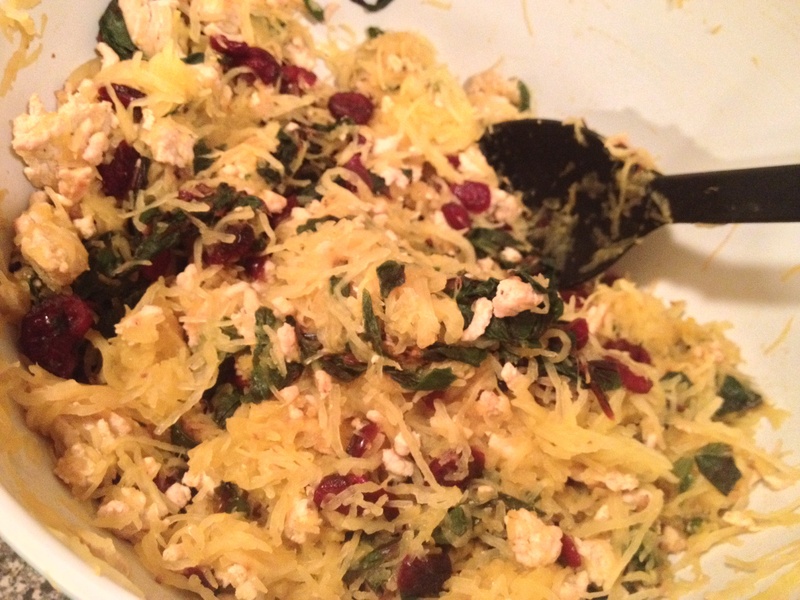 After 40 minutes, take the spaghetti squash out of the oven and let cool for 4 minutes. Once cooled, take a fork and “stroke” the squash from top to bottom to get the “spaghetti” noodles and put in a large mixing bowl. Continue to do this until you scrape to the skin. 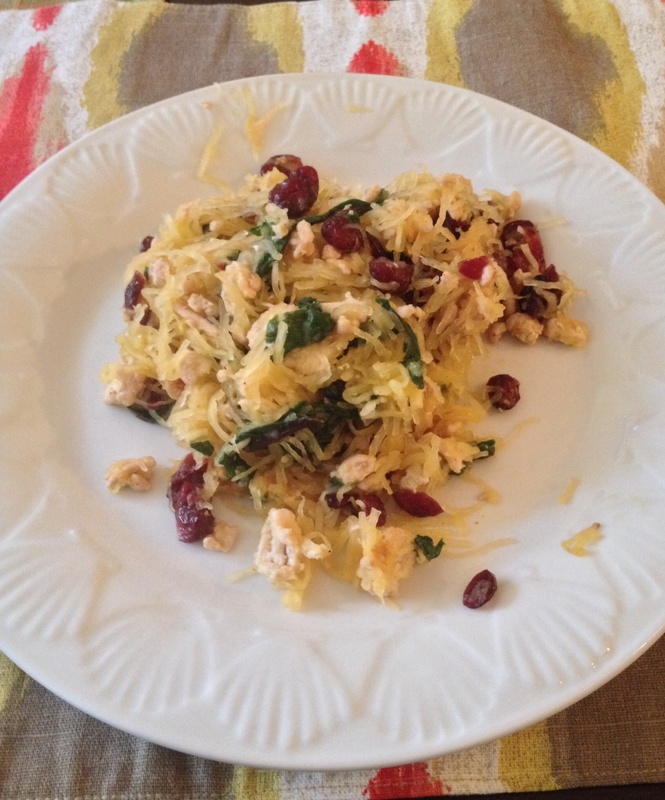 Once the spaghetti is ready, add the Swiss chard, cranberry, turkey mixture to the squash. Mix lightly. (You don’t want to break the spaghetti) Add the dressing and mix. T.W.O. highly suggests serving this dish warm, so you can immediately plate it! 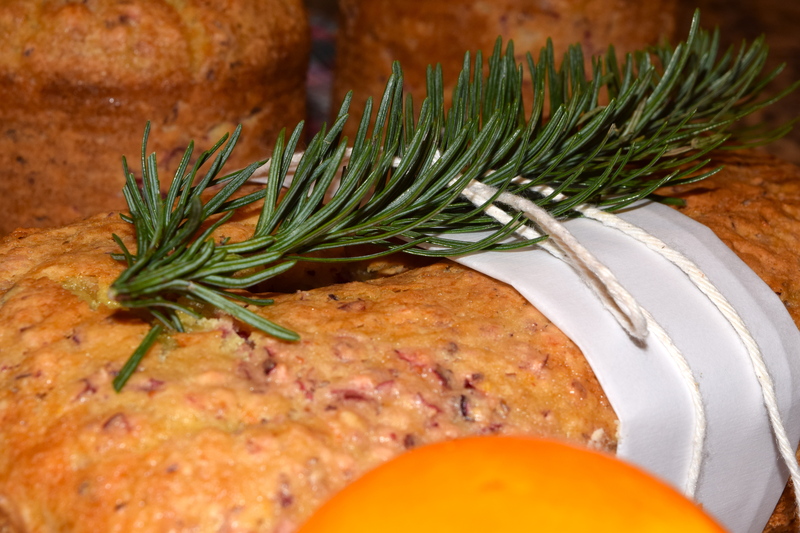 Fall is one of T.W.O.’s favorite seasons because of the weather and the harvest foods! To kick off the season, T.W.O. decided to make a dish with butternut squash. 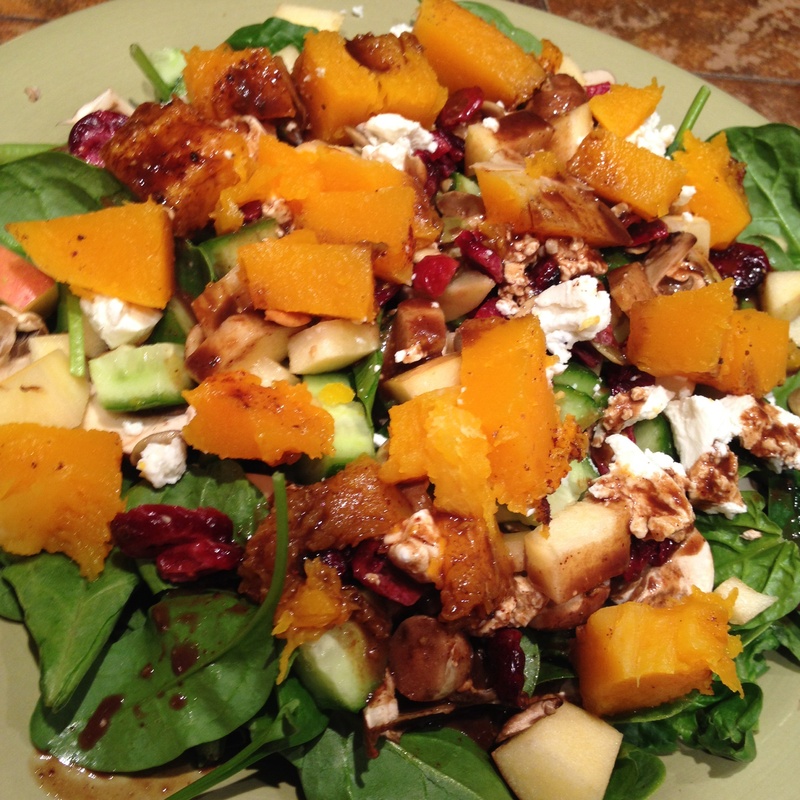 The weather has been quite warm, so a fresh salad with all the Fall ingredients was put on the T.W.O. menu. Preheat oven to 415°. 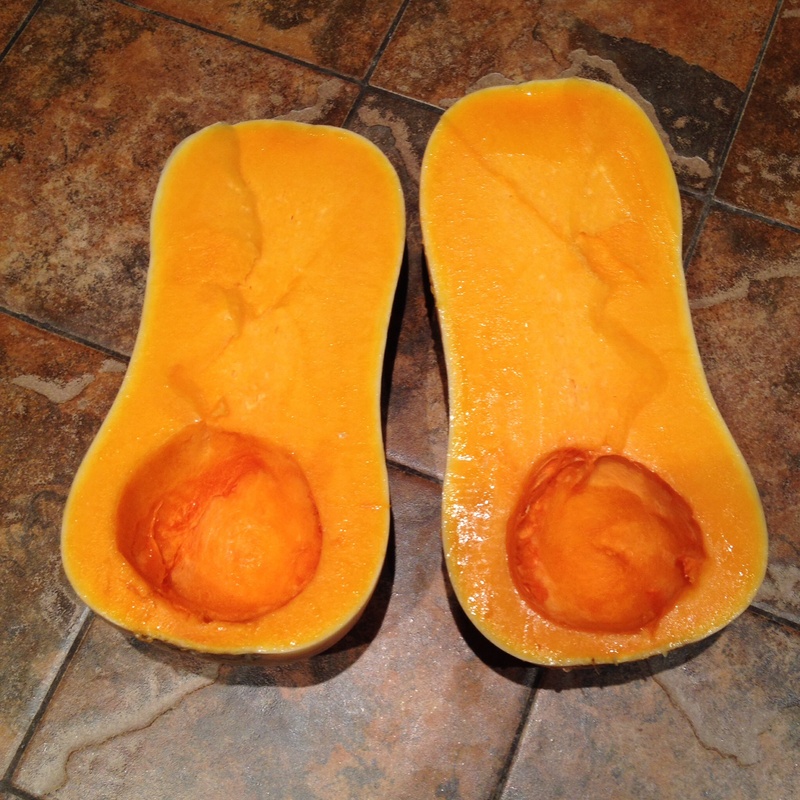 Cut butternut squash in half and remove seeds. 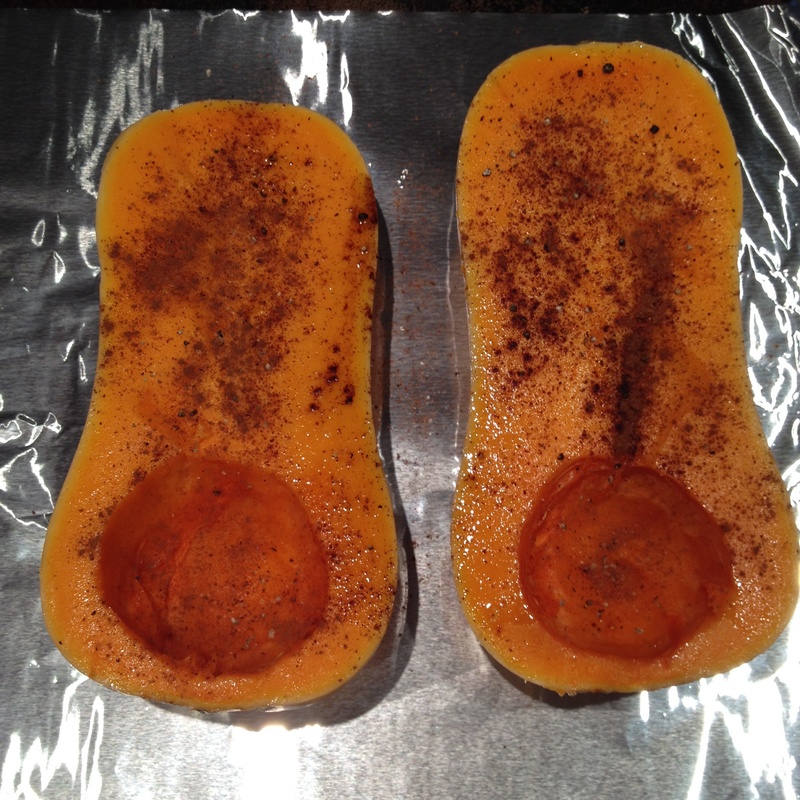 Place butternut squash on a foil-lined cookie sheet and brush the squash with olive oil. 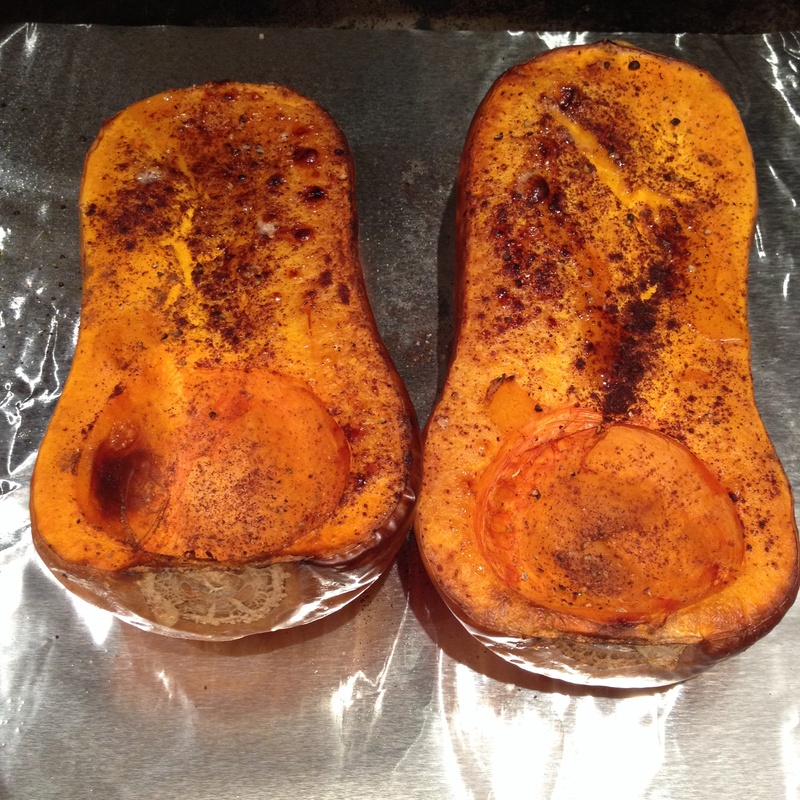 Next, season the squash with salt, pepper, cinnamon, and nutmeg. 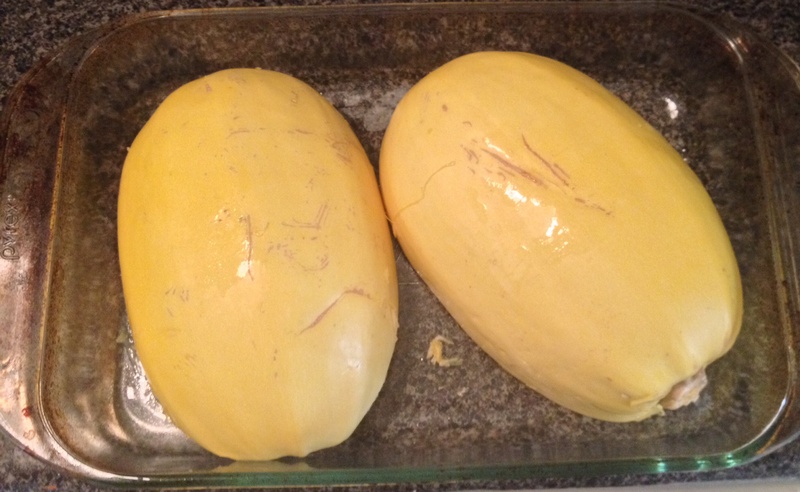 Put the squash into oven and roast for 45 minutes to one hour. For the dressing, mix together the olive oil, balsamic vinegar, mustard, yogurt, honey, cinnamon, salt and pepper. Put the dressing in the refrigerator to chill. 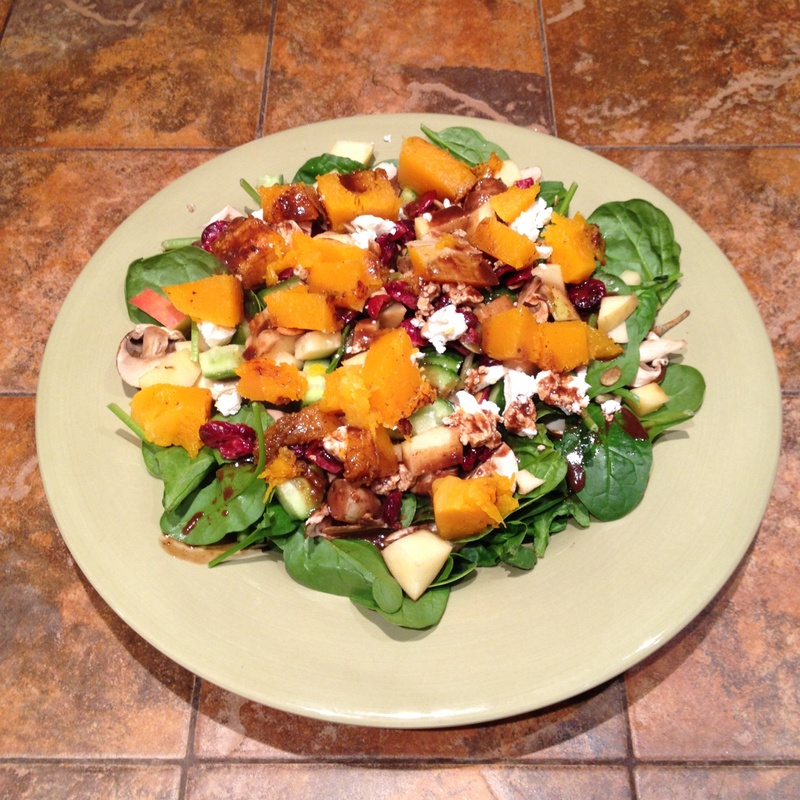 Ten minutes before the butternut squash is ready, prepare salad. 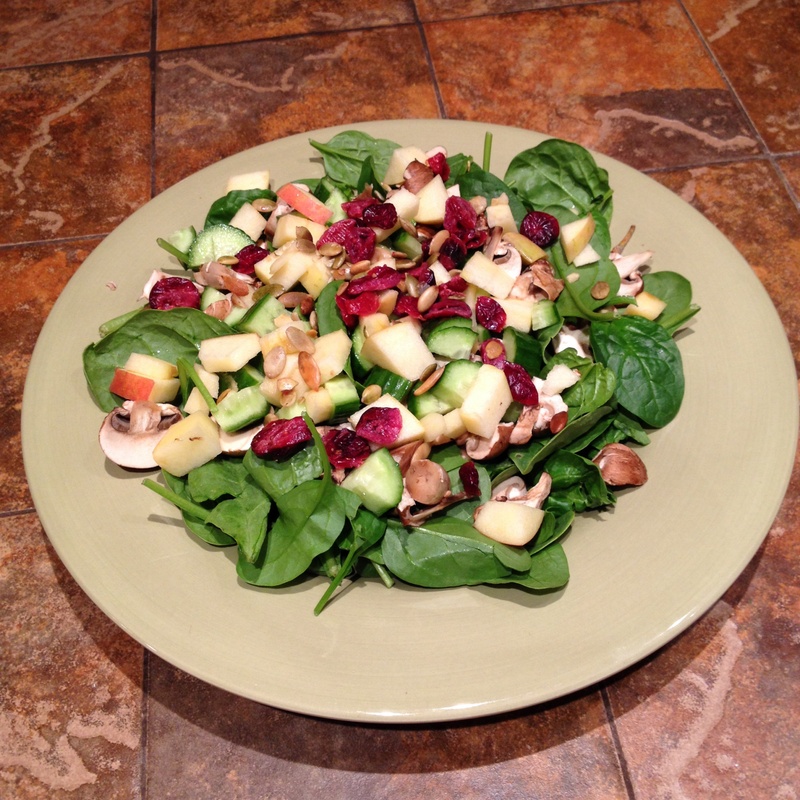 Dice apple, mushrooms, and cucumber and place on platted spinach. 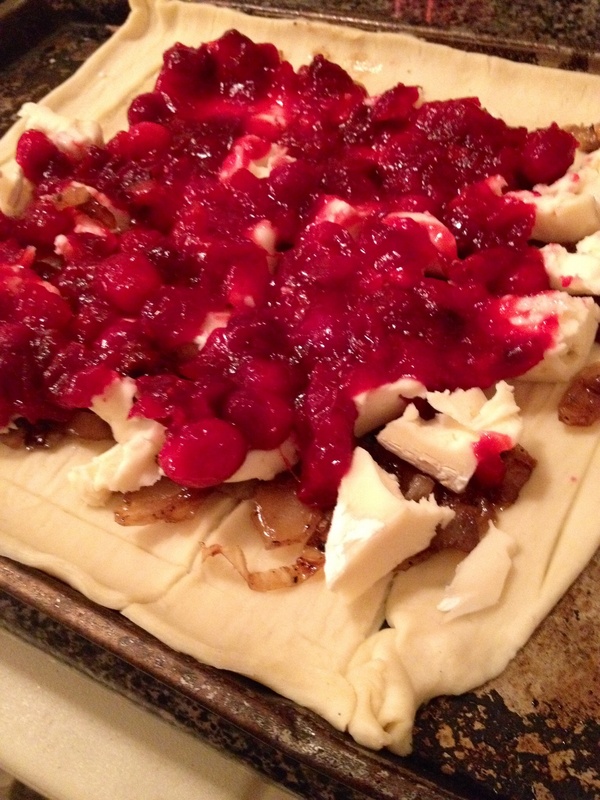 Next, add your cranberries, pepitas and crumbled goat cheese. 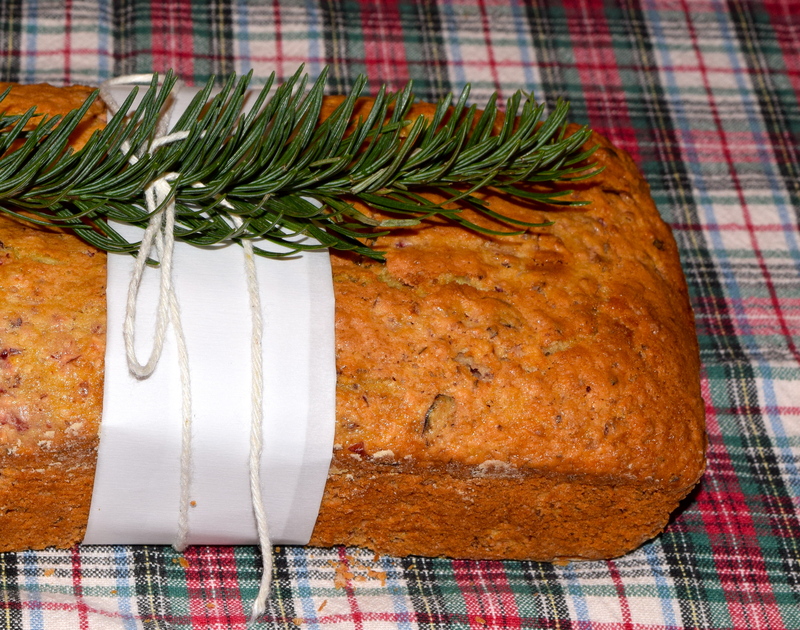 When the squash is done, take out of oven and let sit for 3-5 minutes to cool. Cut the squash into cubes (removing the skin) and put on salad. Drizzle the dressing over salad and mix. 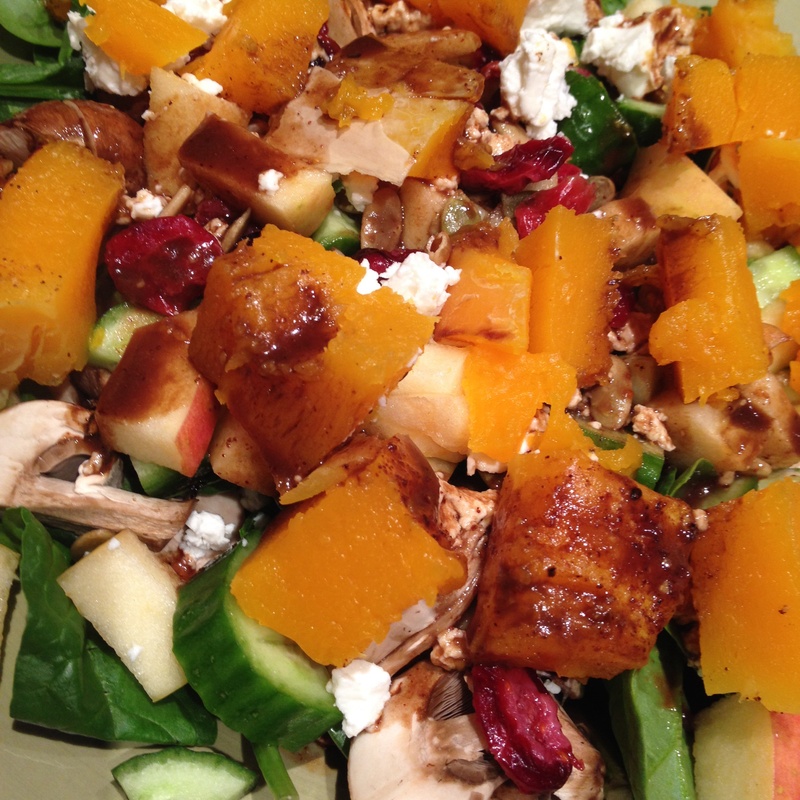 Now it’s time to enjoy this gastronomical, fall inspired salad!